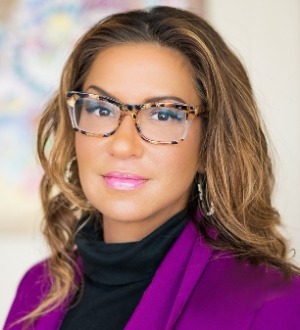 Erica Mason serves as regional and national employment counsel to large and medium-sized companies throughout the United States, primarily in the hospitality, retail and manufacturing sectors, as well as hospitals and physician's groups. Ms. Mason defends clients from claims of alleged racial, age, national origin, disability and religious discrimination, harassment and/or retaliation; testing and public accommodations; wage and hour disputes; and restrictive covenants disputes brought under state and federal law. She has extensive experience successfully defending enforcement actions brought by the United States Equal Employment Opportunity Commission (EEOC) alleging single-plaintiff or pattern-and-practice violations of federal anti-discrimination laws, as well as private Rule 23 class actions and Section 216(b) collective-actions brought under Title VII, ADEA, ADA, Equal Pay Act and the FLSA, and lawsuits brought against franchisors and professional employer organizations (PEOs) under a "joint employer" or "integrated enterprise" theory of liability. In addition to assisting clients in litigation, Ms. Mason also advises employers on litigation avoidance techniques and compliance issues, including drafting and implementing employment policies, processes and training; advising on single-employee or large scale terminations, and implementing and assessing risk related to reductions-in-force; conducting internal investigations into alleged unethical or unlawful conduct; comprehensive employment practices audits; and drafting employment contracts, confidentiality and restrictive covenant agreements. Ms. Mason also trains clients on EEO, diversity and inclusion, implicit bias, respectful workplace norms, leadership skills training and a number of other employment-related issues.